Steve Madden is known for their on-trend shoes and accessories, but they’re also big innovators in the email space, too. They saw incredible results using contextual marketing back in 2016, driving downloads to their app. This time around, they wanted to up the ante with a sophisticated, data-driven approach to their loyalty campaign. Download the case study to find out how they used Movable Ink and Shaw + Scott to drive engagement and revenue in a big way. 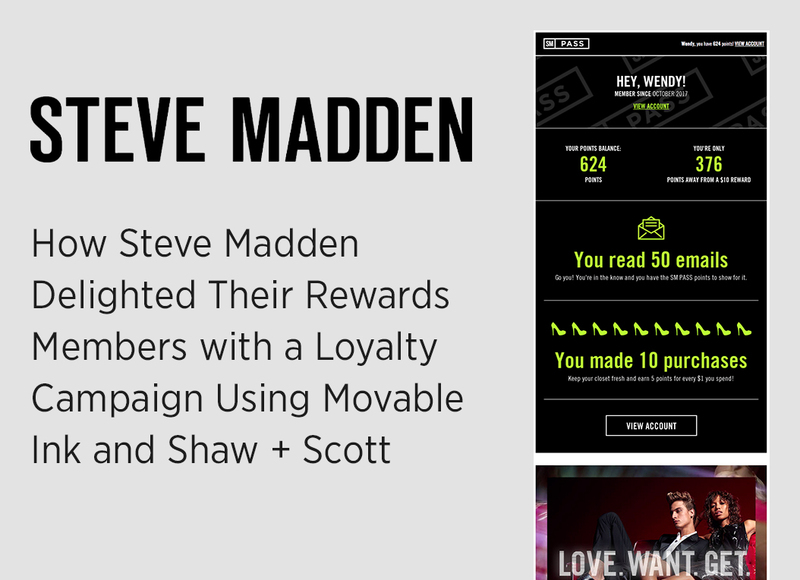 Download the case study to see Steve Madden's data-driven loyalty campaign.